Although HVAC systems are designed to give homeowners seamless control over their indoor climates, controlling the costs of that comfort isn’t easy. While modern systems offer advanced efficiency, rising electricity rates make it difficult to keep bills to a minimum. Fortunately, consumers can adopt smart strategies to refine heating and cooling and, in turn, reduce energy costs. As top home energy experts in West Springfield, PA, Adams Heating & Cooling highlights a few of the best ways to limit the power your HVAC system uses. Even if windows and doors are closed, they could still be allowing air to creep in and out of your home. These drafts can make it harder for your HVAC system to maintain a steady temperature indoors, requiring it to run longer than it needs to. Resealing gaps is an easy way to prevent climate-controlled air from escaping the house. If you live in an older home, there’s a good chance your attic might not have adequate insulation to keep cold or hot air where it belongs. If your attic is an energy loss culprit, consult a professional to determine which insulation is ideal for your home and budget. 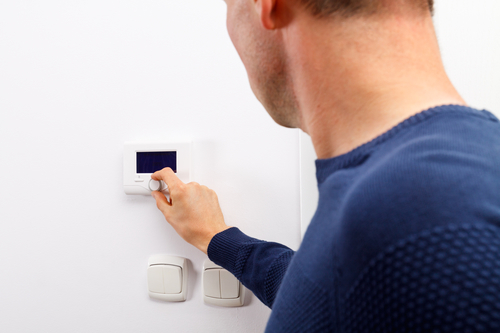 Adjusting your preferred thermostat settings by a few degrees can allow you to remain comfortable without having to run your system excessively. While you might not notice the minor difference in temperature, embracing more energy-efficient numbers can significantly reduce overall HVAC usage. You can even consider upgrading to a programmable or smartphone-connected thermostat so that you can choose more energy-friendly settings when nobody’s home. While air filters remove a great deal of dust and debris, these elements still tend to build up in systems over the years. When a duct is dirty, you won’t just suffer from poor air quality, but it will also become harder for air to move around, requiring the HVAC system to work harder to deliver desired temperatures. Cleaning ducts every four years can help keep performance at its peak. When mechanical components aren’t cared for regularly, an HVAC system will have to expend more energy to produce desired temperatures. In general, it’s best to have the system professionally serviced at least once a year. Ideally, it should be done before the heavy-use seasons of summer and winter. If you’ve noticed an uptick in your energy bills, excess HVAC energy use might be to blame. Understanding the importance of efficiency, Adams Heating & Cooling can assess your system and offer solutions to reduce energy costs. If you need repair or replacement, these West Springfield home energy experts offer comprehensive HVAC services to make sure you’ll have access to reliable climate control all year long. Visit their website for more details on their services, or call (814) 922-7786 to schedule an appointment.